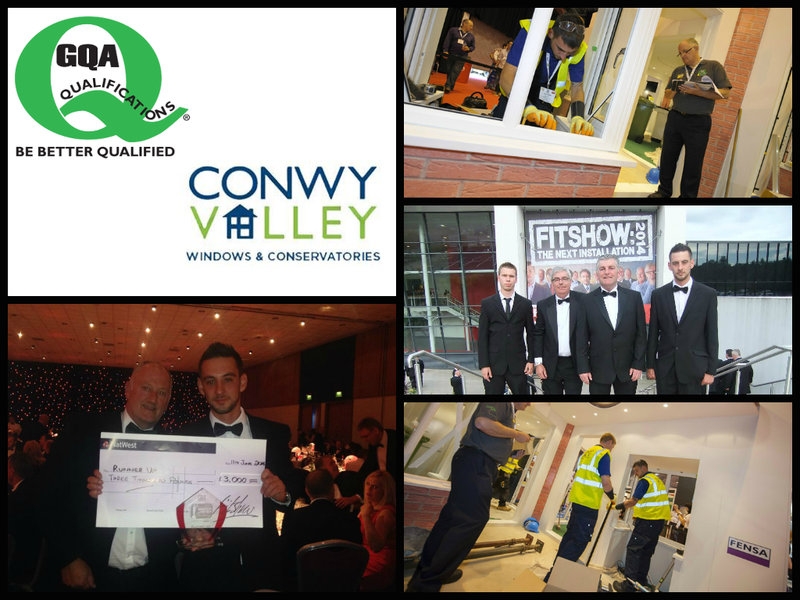 Steve Price of Conwy Valley Windows, Penrhyn Bay has been named as runner-up in the prestigious Master Fitter Challenge at the FIT Show 2014. The FiT Show Master Fitter Challenge, managed by GQA Qualifications, has been designed to seek out, recognise and reward the best of the best from within our industry. Competitors dealt with 3 disciplines - removal and replacement of a Bay, composite door installation and a fault recognition door - in the keenly fought 2-day final. Steve has been in the industry for 9 years having started his working life alongside his brother, David, for their father’s family business. Steve joined Conwy Valley Windows and Conservatories in December 2012 and during this time he has proved to be an enthusiastic member of the team. Steve was assessed in the final by GQA assessor Steve Hill, Steve said: “Steve was initially very nervous, but he soon got into his stride. He prepared his working area and ensured all tools and equipment required were close to hand. Using the specifications given Steve produced an installation of quality beyond his years. He demonstrated all the appropriate skills required to fulfil the installation but added little touches of finesse which contributed to his overall effectiveness. He communicated well at all times and had an attitude which can only enhance the industry. Steve is a pleasant young man who just wants to do a job to the best of his ability irrespective of any pressure. It was a pleasure to have assessed Steve at the Master Fitter Challenge. GQA caught up with Steve a week after the event for him to reflect on his experience. Steve said: “I enjoyed the chance to take part in this competition and thank my company for their support. My Managers and MD came to see me compete on the Tuesday and we had a great evening at the Gala dinner the night after. Thanks to the sponsors as everything was laid on for me and workmate Spike who stayed and helped fit the bay window and door during the final. The competition has given me a pat on the back and for my dad and brother too. That’s how I started in the industry working with my dad so he taught me well. I plan to come back in 2016 and win the competition”.